A ruthless group of shadowy international businessmen, working together with Arabic and Chinese Jihadist terrorists as well as savage Somali pirates, plot to precipitate a global Armageddon-like catastrophe. 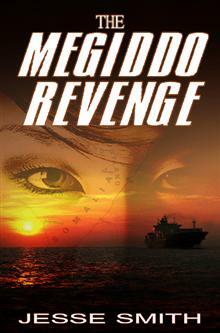 Inextricably linked to the barbarous scheme are Patti Tang, a beautiful, rich Chinese-American ship-owner who is hated by many Chinese Muslims, and Jon Lawson, a ship’s captain whose family has been murdered by the terrorists. With a common enemy, their paths inevitably merge while the western world’s intelligence agencies are incapable of countering the abominable scheme. Patti and Jon's quest for the truth and retribution takes them to China, Europe and the USA, the terrorists finally being thwarted in a near apocalyptic finale in the Middle East. Jesse Smith has been at sea for most of his life and a ship captain for the last twenty years, traveling to numerous destinations around the globe and regularly transiting the Gulf of Aden piracy zone. For several years he worked ashore as a marine consultant during which time he gained considerable insight into various aspects of international trade and sanctions busting. When not away at sea, he spends most of his time at home with his wife in Durban, South Africa.